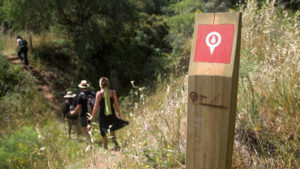 The Via Algarviana hiking trail, begins in the riverside village of Alcoutim and extends for 300km to the South-Western most tip of Portugal at Cabo São Vincente. 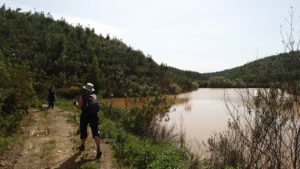 The route traverses the three different zones of the Algarve, the serra (mountain), barrocal and coastline. 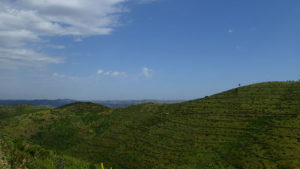 Keeping away from the popular resorts on the coastline, the route winds inland along forest paths, open countryside, through several quaint villages and up and over the hills and mountains of the Serra do Caldeirão and Serra do Monchique before reaching the natural protected flora and fauna of Costa Vincentina natural park. 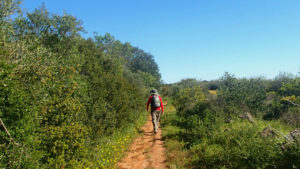 Via Algarviana hiking is bound to stimulate your taste buds, keep you on your toes and allow you to reconnect with nature while never being too far from beautiful sunshine. 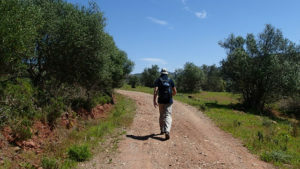 Your first days walking on the Via Algarviana will take you through orchards of almond, fig and olive trees.Before you reach Balurcos you will pass a number of small villages with quaint houses and traditional kitchen-gardens. 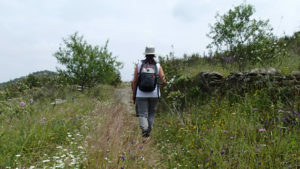 From Balurcos you will travel along rural paths, past low stone walls and small agricultural enclosures. You will see the white-washed houses and wood ovens which are typical of the area. 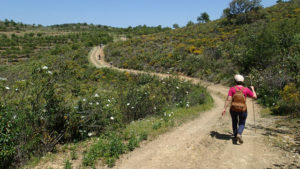 The trail will take you through forests of Cistus and Oak before you reach Furnazinhas. 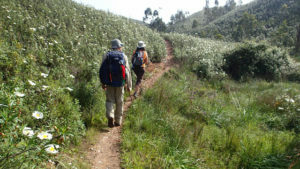 Today the trail will take you along some steep paths through open fields and clusters of trees. You will cross a number of streams which offer a great opportunity for you to tip your toes. The village of Vaqueiros was built on what was once an Arabic settlement. There are also a number of relics in the area from the Roman era when mining was popular here. As you make your way from Vaqueiros to Cachopo you will have some wonderful views over the landscape which is dotted with streams, fountains and water wheel wells. 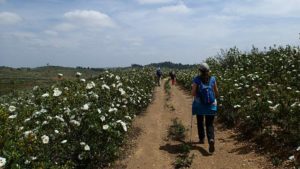 Todays walk on the Via Algarviana is also one of the most challenging as it takes you over twisty, hilly tracks. However your efforts will be rewarded by lovely panoramic views. Todays walk will once pass through pretty little villages and past orchards and forests. 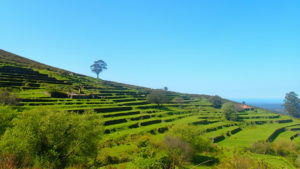 Barranco de Velho is a lovely little village where you will have the opportunity to learn about the cork production of the area and see the many cork products which are available to purchase. Your first day walking on Section 2of the Via Algarviana will take you through wonderful rural landscapes with panoramic views over the land and the coastline. You will cross streams and pass through ravines while all the time being surrounded by the signs of old-time agriculture and trees of all kinds. This is also one of the best sections for seeing orchids during the springtime when they are in bloom. 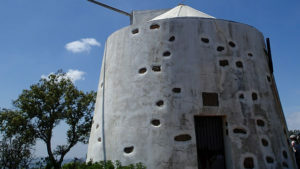 Along the way today you will see more relics of the agricultural history of the region such as water wheels and various hydraulic devices. It is a beautiful section to immerse yourself in nature as you pass streams and groves of trees in an area which has many vocal birds and hundreds of types of flora. Today you will pass through the village of Alte which is one of the most traditional in the Algarve, with its white-washed houses and narrow stone paved streets. As you walk the vegetation becomes denser and you will pass all kinds of trees. The sweet scent of the orange blossoms will follow you as you walk. During today’s walk the landscape will change significantly. You will make your way along a beautiful path which runs alongside the Arade river. 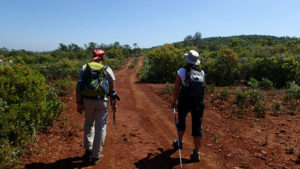 From here the trail will bring you through countless fruit and olive trees as you make your way to your finishing point of Silves. There are a number of sights to see in Silves before you set off on your journey, including the Moorish Castle, the old Cathedral, the House of Islamic and Mediterranean Culture, the Municipal Museum of Archaeology as well as a number of lovely little churches. Today you will begin your walk on this, the 3rd section of the Via Algarviana. You will pass through agricultural land with fields of cereal crops and small vineyards. 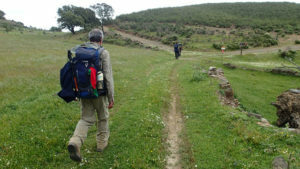 Towards the end of the days walk the scenery will start to change somewhat as you see large rocky outcrops and pass through forests thick with Eucalyptus and Cork Oak. 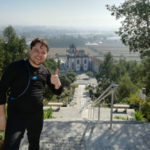 Todays walk begins with a 3km climb to take you past the ruins of the Convento do Desterro. The track will eventually narrow and pass through forests of Eucalyptus before the trees give way to lower level vegetation such as cistus, gorse, junipers and rhododendron. Today is a relatively short walk so you should have time to see the handicrafts of the area such as cane baskets and wooden spoons. The track brings you trough the by now familiar groves of trees along what is one of the more unspoilt parts of the route. While there are some houses and hamlets they are fewer than they have been in previous days. The Bravura Dam is an ideal place to stop for a break. Today begins by passing through the dense Mediterranean undergrowth and forests. 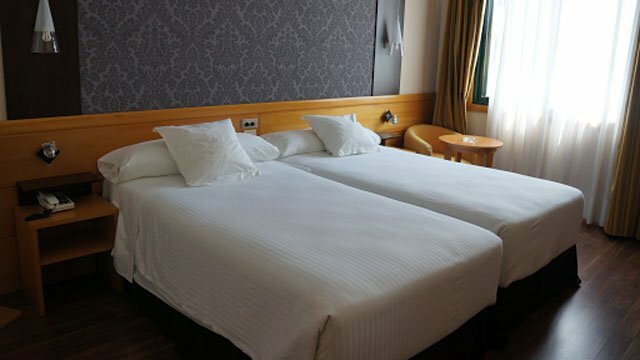 You may begin to notice more of an influence in this area from foreign residents who have somewhat flocked to the area over the last number of years. From Sesmarias the landscape changes as you make your way into a vast agricultural plateau where you will find Buden’s fen, which is small wetland full of aquatic birds and amphibians. 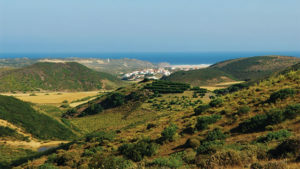 Your final days walk on the Via Algarviana will bring you into the Costa Vicentina Natural Park which is an area of immense beauty. Keep an eye out for some of the many rare birds which can be seen in this area, such as Red-billed Chough and Peregrin Falcons. 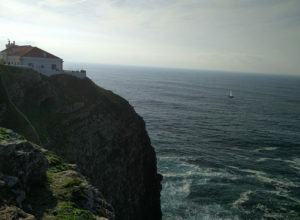 The trail finishes at the St. Vicente Lighthouse which sits in a stunning clifftop position overlooking the Atlantic. It is 17km to this point and from here it is another 6kms to Sagres. You can choose to walk this final 6kms or take a bus to Sagres. Faro Airport 116km: From Sagres take the bus to Lagos Train Station (1h). See www.eva-bus.com. From Lagos take the train to Faro (1h45). See www.cp.pt/passageiros/en. From Faro take the Circuit 16 bus to Faro Airport (20 mins).